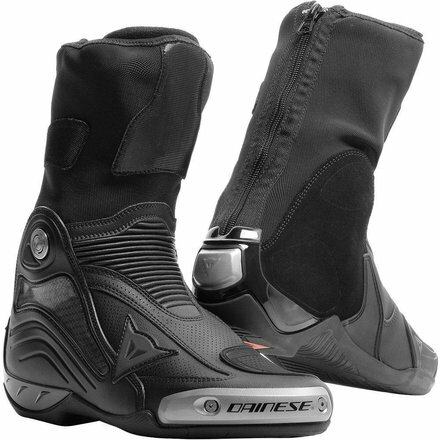 Dainese's has succeeded in developing a sports boot with ultra modern looks and technical features. Comfortable for the road, functional and safe enough for the circuit. This air version offers all possible ventilation. The Dainese design team has succeeded in developing a sports boot with ultra modern looks and technical features. Comfortable enough for the road, functional and safe enough for the circuit. Available in 5 tasteful designs in sizes 40 to 47.